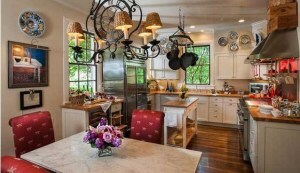 The kitchen is a wonderful part of your home. You don’t just cook in your kitchen, you make memories there. You entertain and enjoy Thanksgiving meals there! 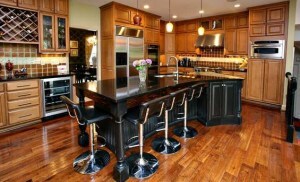 Below you'll find a list of some of the most beautiful kitchens in Louisville area homes for sale this month. 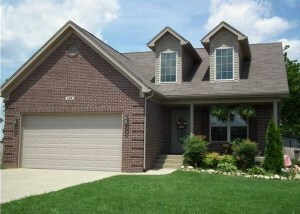 You can view detailed property information on each of these homes for sale in Louisville at www.athomeinlouisville.com. 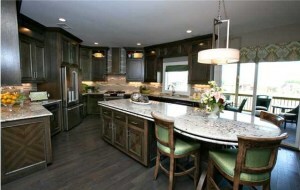 Which kitchen is your dream kitchen? (Homes are not listed in any particular order of preference). 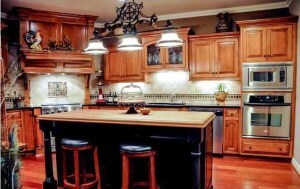 To schedule an appointment to see any of the below homes or for assistance finding the kitchen of your dreams call At Home In Louisville Real Estate Group today at 502-371-1173. Happy Thanksgiving Everyone! 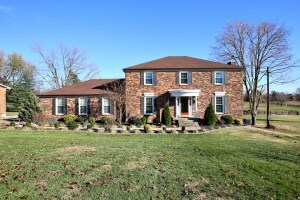 328 Hillcreek Rd Shepherdsville KY 40165 is a gorgeous five bedroom home on over an acre of lovely land in Shepherdsville. 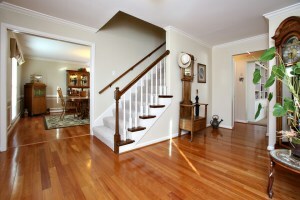 An entry foyer with neutral walls, crown molding, and hardwood flooring greets guests. To the right of the entry foyer is a good sized Formal Living Room (currently set up as a private office) with crown molding and gas fireplace. 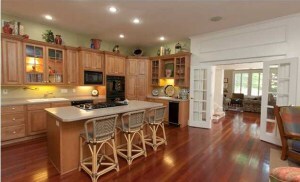 The Formal Dining Room showcases hardwood floor, abundant natural light, and decorative trim. The Eat In Kitchen is perfect for entertaining with center island, recessed lighting, double oven (one a convection), double sink, and plentiful cabinetry. 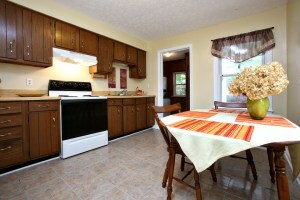 The kitchen dining area has fantastic natural light from an attractive bay window. The Family Room is large with floor to ceiling brick fireplace with raised hearth, built in shelving, and recessed lighting. Double doors exit to a relaxing screened porch. A half bath completes the first level of the home. The Master Suite is luxurious with walk in closet, crown molding, and private Master Bath with recessed lighting and walk in shower. The second floor contains 3 more good sized bedrooms, a Full Bath, and access to attic storage. 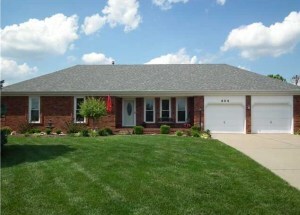 328 Hillcreek Rd Shepherdsville KY 40165 has a fully finished walk out Basement. 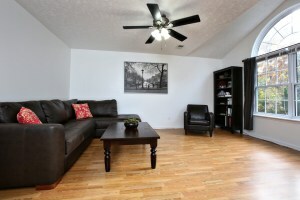 The basement Family Room has a 3rd fireplace, spacious recreation area, and double doors that exit to the back patio. The Basement also houses a Full Bath, Laundry, and additional Bedroom. The expansive back yard is serene with approximately one acre of fenced property for your horse, a two stall barn with tack room and loft above, 3 car attached garage, and screened porch with patio below! What a wonderful home for indoor and outdoor entertaining! 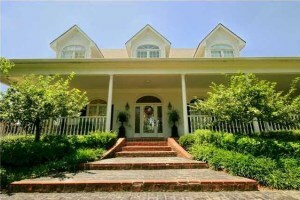 Close to it all & beautiful acreage! Several updates made by the present owners include triple pane windows, shutters, water softener, electric air purifier and humidifier on the furnace, roof and gutters! 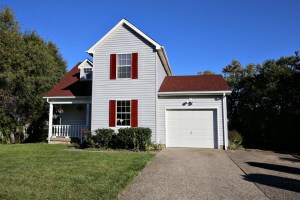 Call today for your private showing 502-371-1173 and let us give you a tour of the Homes For Sale In Shepherdsville KY! Join At Home In Louisville Real Estate Group this Sunday November 24th from 2-4pm for an Open House at 6310 Limewood Circle. 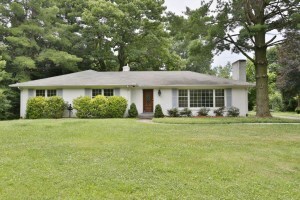 Wonderful 3 Bedroom Ranch with a large back yard! Fantastic Location. 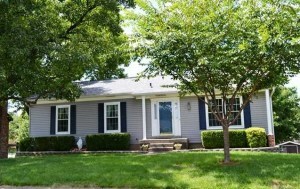 Call 502-371-1173 for more information about this property or visit Open Houses in Louisville KY to see all open houses in Louisville this weekend! 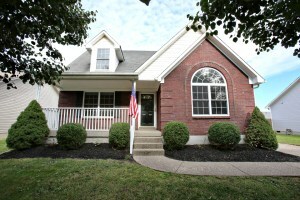 4217 Mimosa View Dr Louisville KY 40299 is a wonderful 3 Bedroom cape cod in the Springview subdivision. 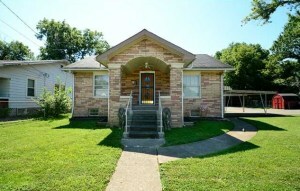 The home has nice curb appeal with a welcoming front porch and landscaped front yard. 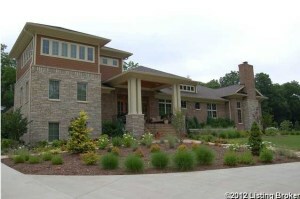 The front entrance opens to a 2 story Great Room showcasing a fireplace and neutral walls. 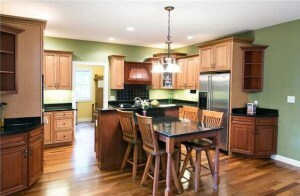 The Eat In Kitchen is highlighted by abundant cabinet space, tiled flooring, and a pleasant dining area with bay window. 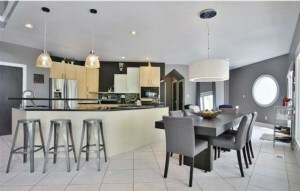 Future owners will enjoy having breakfast or relaxing with a book in the Florida Room off of the Kitchen. One good sized bedroom is positioned on the first floor with easy access to a Full Bath. The second floor includes two more bedrooms and another Full Bath. The partially finished basement contains the Laundry Room and a sitting area. 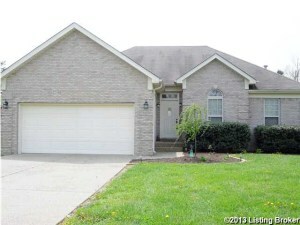 Upgrades to 4217 Mimosa View Dr Louisville KY 40299 include newer bathroom flooring, roof, and carpeting. 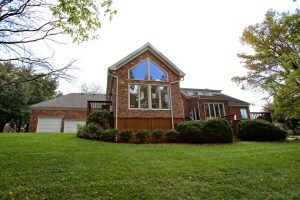 The back yard is a fantastic spot to enjoy outdoor grilling and games with a deck and sizeable grassy area. The property also features a one car attached garage. You'll love the location! 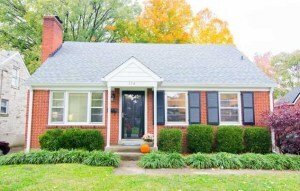 The house sits close to expressways, shopping and dining along Taylorsville Rd and Hurstbourne Parkway, and is a short ride to Charlie Vettiner Park. Don't miss your chance to see this home! Call At Home In Louisville Real Estate Group today at 502-371-1173 and one of our agents will be glad to provide a personal tour. 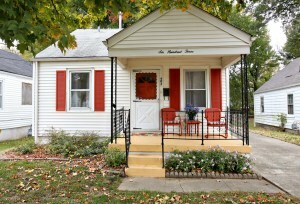 603 Inverness Ave Louisville KY 40214 is a lovely two bedroom ranch. 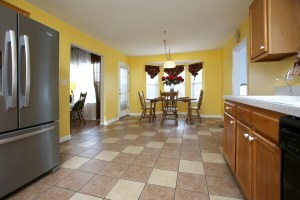 Well maintained and move in ready with a one car oversized detached garage! 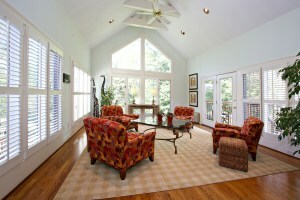 You'll love the sunny front porch and cozy Living Room with hardwood flooring and neutral walls. 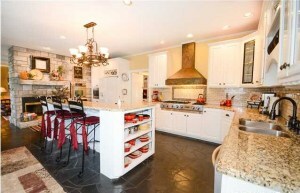 The Eat In Kitchen includes ample counter and cabinet space and a pleasant dining area. 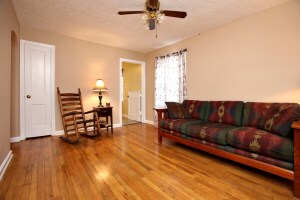 Both Bedrooms are good sized with neutral walls and hardwood flooring. 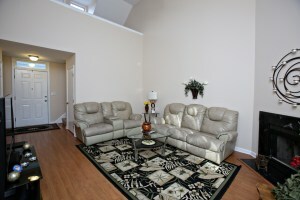 The current owners have set up one of the bedrooms as an additional living area. 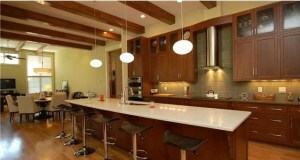 The floor plan also includes a Full Bath and Laundry Room. The back yard is cute and fenced with space to enjoy the outdoors and play games with family and friends. 603 Inverness Ave Louisville KY 40214 is walking distance to Iroquois park, convenient to major expressways, and a short drive from U of L! Great find in this home! Call today to set up your showing and let us take you on a tour of current Louisville Real Estate for sale. 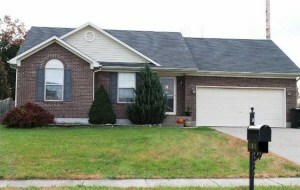 524 Reichmuth Ln Shepherdsville KY 40165 is a move in ready home with spotless interior. The Living Room welcomes guests with plenty of natural light from a lovely palladium window. 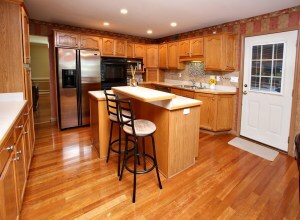 The Eat In Kitchen showcases a pleasant dining area that exits to the back deck as well as abundant cabinet space. The first floor Master Bedroom includes a spacious Master Bath and walk in closet. A Laundry Room completes the first floor. The second floor contains two spacious bedrooms convenient to a Full Bath. One of the bedrooms has a sunny window seat. The back of the home is perfect for outdoor entertaining with a comfortable deck and fully fenced level yard. 524 Reichmuth Ln Shepherdsville KY 40165 has several recent updates including lighting fixtures, window treatment hardware, recessed lighting in the bathrooms and closets, and upgraded bathroom hardware. Spacious and immaculate! Call today for a private showing and let our team speak with you about Shepherdsville ky homes for sale. Join our team this Sunday at 4217 Mimosa View Drive in Springview! 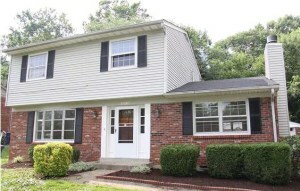 You'll love this fantastic cape cod with 3 Bedrooms, 2 Bathrooms, and large backyard. 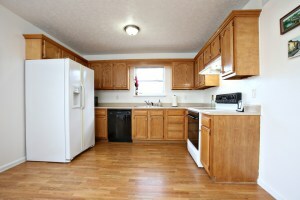 Neutral colors, spacious interior, and wonderful location! Click on the photo to see full property details. 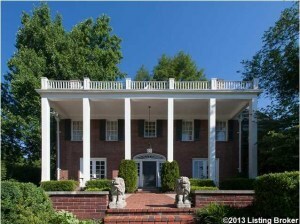 We'd love to give you a tour of this home and speak with you about the current Louisville real estate market. 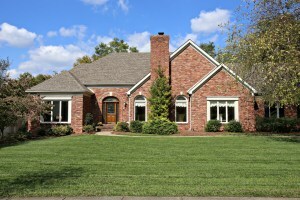 Let us help you buy or sell your Louisville home! See directions below or call 502-371-1173 for more information about this event. 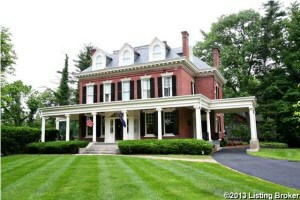 We invite you to visit Open Houses In Louisville KY for a complete list of Open Houses this weekend! 10905 Old Bridge Pl Anchorage, KY 40223 is a gorgeous Amos Martin custom built executive home nestled on a quiet cul-de-sac in Anchorage. The impressive entrance foyer features detailed crown molding and ceramic tile flooring. A stately private study is positioned to the left of the foyer and is accented by wood parquet flooring, built in shelving, and cherry wood paneled walls. The Formal Living Room is inviting with sparkling hardwood flooring that continues throughout most of the first level of the home. 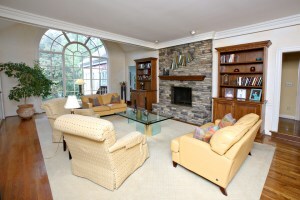 The Living Room is also highlighted by a handsome wood burning fireplace with marble surround. 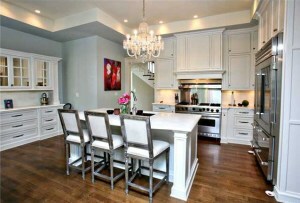 The Formal Dining Room is spacious with enough room for a large entertaining set. The gourmet kitchen is a cook's dream with custom cabinetry, granite counter tops, and a two way brick fireplace with raised hearth. The kitchen is open to a stunning gathering room displaying a vaulted ceiling, walls of windows for fantastic natural light, and access to the back of the home. The Family/Great Room boasts a built in wet bar, stone fireplace that connects to the kitchen, crown molding detail, and dramatic palladium window. 10905 Old Bridge Pl Anchorage, KY 40223 has a wonderful Master Suite complete with crown molding, two large walk in closets, glistening hardwood floor, and a luxurious master bath with walk-in shower, dual vanities, and Jacuzzi tub. A relaxing Florida room with access to the back decks connects the Family/Great Room and Master Suite. A guest Bathroom and Laundry Room round off the first floor. The second floor includes two good sized bedrooms (each with a private sink) and a Jack-n-Jill Full bath. The walk out basement is finished with hardwood flooring throughout and contains two large rooms that can be used for media, entertaining, and recreation. There is also another completed room which can be used as a 4th bedroom with a full bath and a huge storage area with built in shelving in the unfinished portion of the basement.